Camping I Melograni is a campsite with 100 touring pitches and 200 year round pitches. During low season, between 01-04-2019 - 30-06-2019 and 01-09-2019 - 30-09-2019, the nightly rate is €16,- at one of the 100 touring pitches at Camping I Melograni in Marina di Bibbona (Livorno). At this campsite you can not only use your CampingCard ACSI for inexpensive camping, you can also use your ACSI Club ID (as an alternative ID). 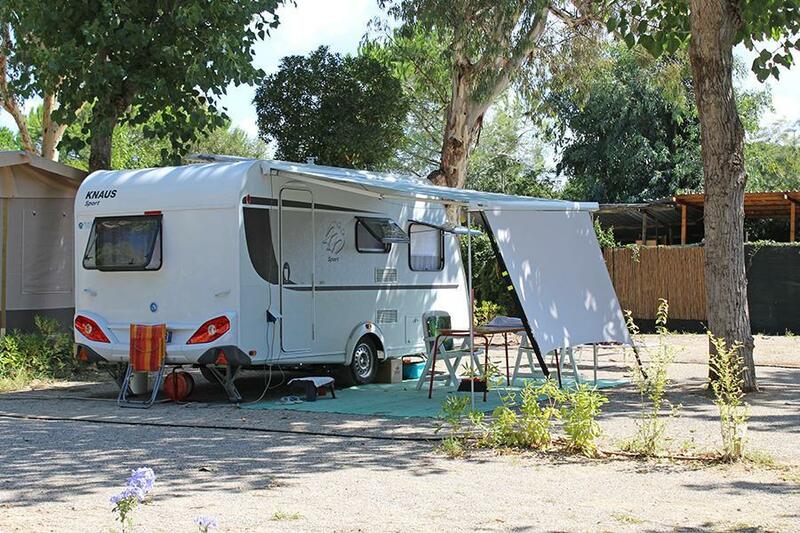 A simple campsite located at walking distance from the seaside resort of Marina di Bibbona. Restaurant next door. Large, simple toilet facilities. Would you like to book Camping I Melograni or request more information? You can do both using the information below. SS1, exit Cecina Sud dir. Marina di Bibbona, straight on on roundabout. Right on mini-roundabout. Site is located on left of road. CampingCard ACSI will send your information request to "Camping I Melograni".